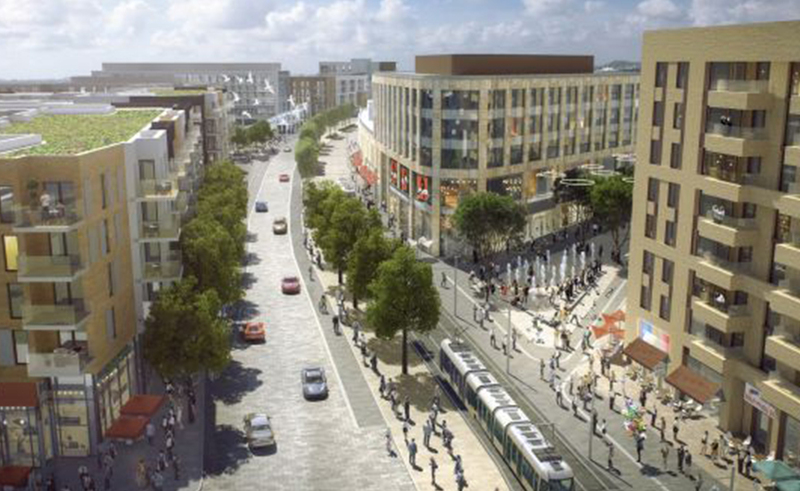 In parallel to undertaking the role of masterplanners MOLA Architecture have been retained by Hines Ireland Ltd, as architects for the development of a multi-faceted urban centre on 15 acres of the lands designated for town centre uses at Cherrywood SDZ. This commission involved collaboration on the concept design development phase with a number of international architects, and co-ordination of a single planning application for a 2.1 million sq.ft. mixed-use development. The 2 sites on which MOLA is engaged, TC1 and TC2, form the core of Cherrywood Town Centre providing 30,000 sq.m of retail space; 24,000 sq.m of restaurants, cafes, leisure and community facilities and approximately 800 residential units, to be constructed over 2 to 3 levels of podium/basement parking and service zones. In October 2017 the planning application documentation, produced in collaboration with OMP Architects on the residential component, was submitted to DLRCC and the planning application was granted in May 2018.